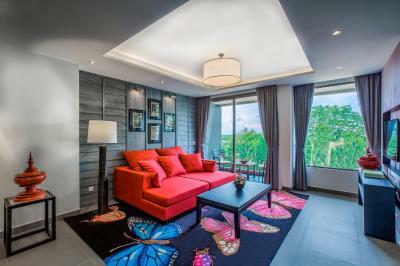 Lock in a great price for The Pavilions, Phuket – rated 9.1 by recent guests! Excellent service and friendly staffs. All of us enjoy the stay. Quite location that away from the crowded tourists. Btw, if you want a full tour of the island, you better get a rental car or sign up local tour group. The rooms,the service everything about the resort. The room, a two-bedroom loft with private pool, was exceptional!!! The pictures were adequate but I think seeing it in person makes it more magnificent, in my opinion. The room lacked for nothing; full kitchen, two and half baths, outdoor shower by pool, several beach towels, T.V.s in every room, I can go on and on. I didn't know this chain but now it is definitely on my list when I travel. Every thing was perfect. Except the hotel location you need to go by car to the nearest supermarket or restaurant. By the way the hotel provide a shuttle to the villa market which is about 10 min free but you have to book one or two hour in advance. The property far exceeds any expectations; the booking.com description accurately portrays the interiors but doesn't do justice to the beautiful site the hotel is on. The Pavilions, Phuket This rating is a reflection of how the property compares to the industry standard when it comes to price, facilities and services available. It's based on a self-evaluation by the property. Use this rating to help choose your stay! 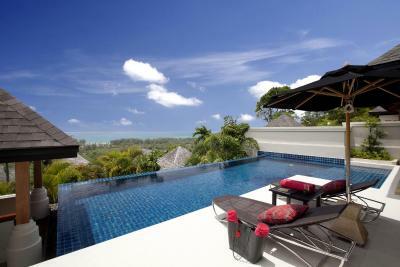 Facing the Andaman Sea, The Pavilions, Phuket offers luxurious villas with private infinity pools. 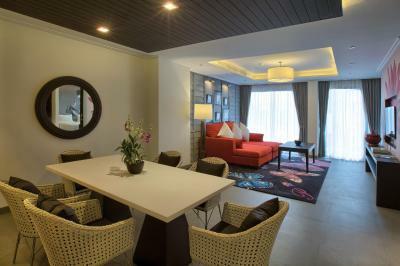 Offering free WiFi, this residence also has a free shuttle to Layan Beach and Laguna Canal Village. Villas sit on a hill and feature views of the ocean. They feature cable TV and a DVD player. The spaciousness of the villa allows for a separate living area. 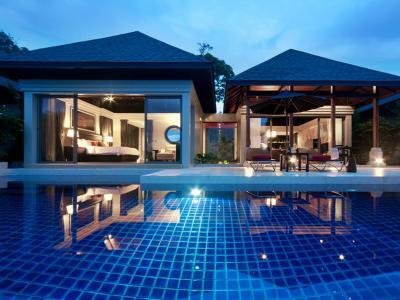 The Pavilions is a 20-minute drive from Phuket International Airport. 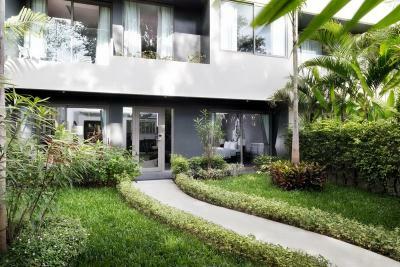 It is about 1.7 mi from Laguna Phuket Golf Club. Guests who drive can enjoy free parking. 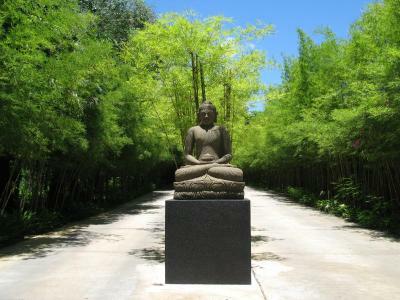 A complimentary local cultural activity is offered daily at the property. Guests can enjoy massage treatments at the spa or rent a car to explore the area at leisure. The resort also provides a business center and laundry services. Open-air and enjoying sweeping sea views, The Plantation Club serves Thai and Mediterranean dishes. The panoramic 360º Bar serves signature cocktails and beautiful sunset views. 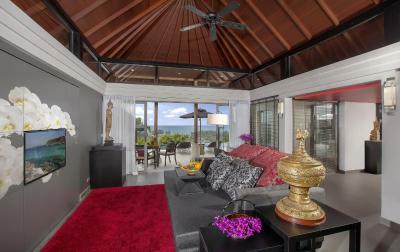 When would you like to stay at The Pavilions, Phuket? 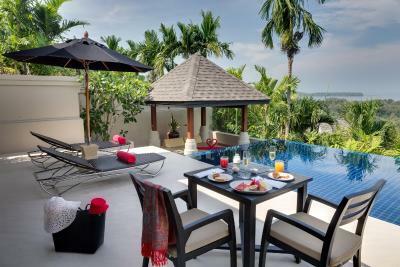 Boasting panoramic views of Layan Beach, this 310-sqm villa features a private infinity pool and a Thai-style pavilion. Please note that this room type cannot accommodate children below 16 years old. Set against the stunning landscape of sweeping Phuket valleys, this 275-sqm villa includes a private Thai-style pavilion, terrace, and spa with steam room. Please note that this room type cannot accommodate children below 12 years old. This 310-sqm stylish and comfortable private villa does not only offer breath taking views but also features a spacious infinity pool that extends out over Layan Beach. 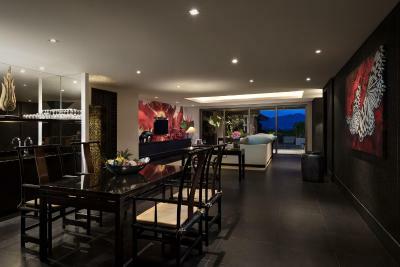 Located on the Layan Beach hilltop overlooking a green valley, this 595-sqm two-story villa features an infinity pool, a sundeck and a Thai-style pavilion. Apart from three bedrooms, it also comes with a fully-equipped kitchen. 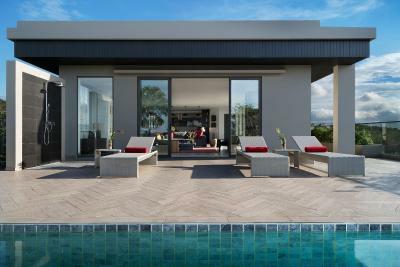 This two-story duplex includes facilities such as a private spa with steam room, and a private outdoor terrace with a Thai-style pavilion. The second floor offers a master bedroom with an private bathroom, a beautiful spa bath, a private balcony, and indoor and outdoor rain head showers. Furnished with contemporary Asian art throughout, the spacious suite features up to 81-sqm of living space and features views of the hill. 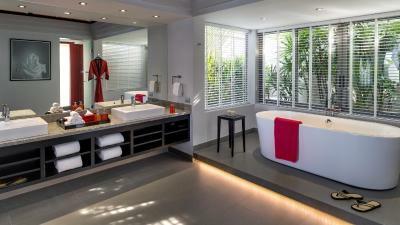 It is composed of an private bathroom and an additional separate guest bathroom. 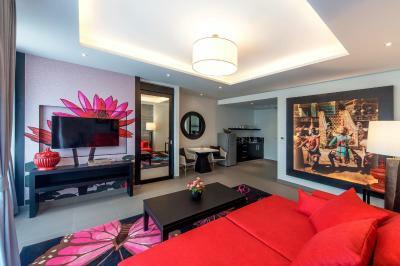 The one-bedroom suite also has a lounge area with an attached bar. 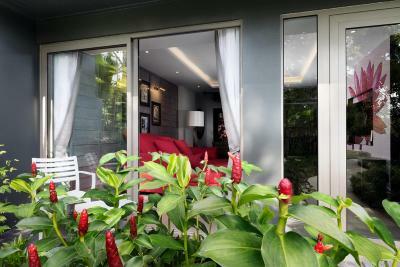 Stylish suite comes with a large private garden. They are fitted with an private bathroom, a lounge area with a bar and a separate guest bathroom. Boasting panoramic views of the surrounding mountains, the 315-sqm suite comes with an outdoor lounge and a private 8 x 13 foot pool. 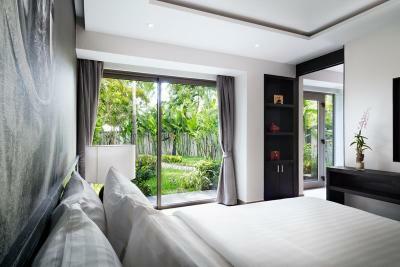 It is composed of two bedrooms, each with its own private bathroom. The open-plan lounge comes with a comfortable seating area and a fully equipped kitchen space. 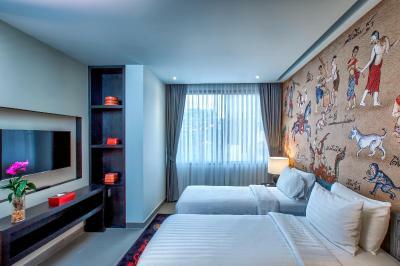 House Rules The Pavilions, Phuket takes special requests – add in the next step! 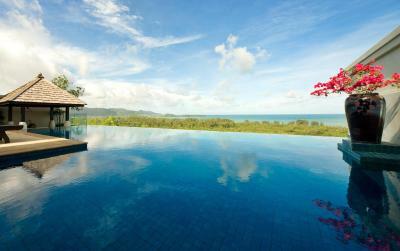 The Pavilions, Phuket accepts these cards and reserves the right to temporarily hold an amount prior to arrival. The dining outlets, "The Plantation Club" and "360 Bar and Grill" welcomes guests above the age of 16. Please be informed that the following room types cannot accommodate children. All following room types in the Suites Wing as well as the all-day dining restaurant "Firefly Restaurant" can accommodate children under the age of 12. Very expensive spa! It’s to much realy. The prises like as the luxyry spa in Moscow. Everything is magnificently! Beautiful restaurant! One of the best we’ve been! Thank you! The menu need to be developed in breakfast and the another restaurant. 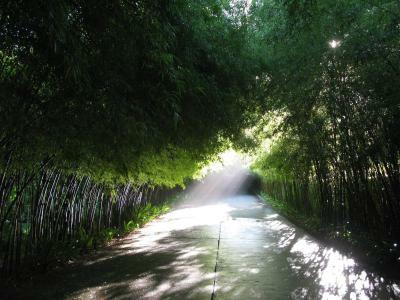 There is nothing not to like - a truly amazing place! I can't speak highly enough of all aspects of this extremely beautiful resort. The friendliest, most helpful staff with an amazing buffet breakfast which had everything you could think of. No mosquito's as the resort is sprayed every morning and as I'm allergic to the bites, this made an incredible stay as I wasn't bitten once. The staff use buggy's to take you around the resort and the 360 degree bar is absolutely out of this world. I CANNOT recommend this resort and their staff highly enough!! The breakfast selection is bit limited. Others are prefect. There was nothing we didn't like, it was 5* in every aspect. Entering the resort at night was amazing as all the trees were lit up with pretty lights. The view was magnificent. The staff were wonderful and most attentive. Food was simply divine and this went for breakfast, The Plantation restaurant, as well as the room service. I will be returning. Our 2nd 5* resort couldn't compare to The Pavillions. -I think they should improve the breakfast especially the buffet little choices. Poorly signposted difficult to find especially without google maps. 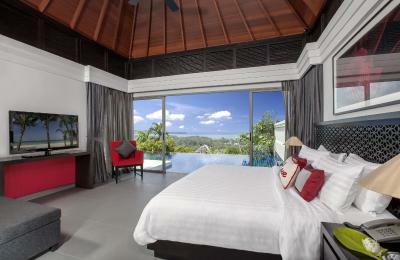 Everything, 360 bar, fabulous breakfast, firefly club, room, pool, golf buggies to take you around. Prawn balls in 360 , even went back after we had checked out and staying somewhere else. The food, unfortunately. The breakfast, while plentiful, did not taste better than what one would get at a chain restaurant, in my opinion. I say this only because we ordered meals twice through room service and had breakfast every day of our stay and I and my party, simply weren't impressed. Secondly, I ask that the gym be expanded just a bit. It's on a small scale for such a beautiful and palatial spot.